VoIP provider Vonage faces a crunch legal hearing today as part of its continued patent battle with Verizon . Vonage is today attempting to overturn an injunction preventing it from signing up new customers. The Federal Court granted this in March following a $58 million (£29 million) damages award against Vonage for infringing on Verizon patents. Earlier this month Vonage succeeded in getting a temporary stay on the injunction ahead of its appeal. Today's hearing by the US Court of Appeals for the Federal Circuit will decide whether to make that temporary stay permanent. Vonage will argue that if the stay on the injunction is not made permanent it will cause serious damage to its business ahead of an appeal. 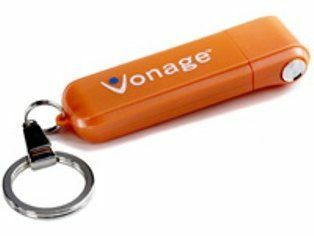 Vonage has already warned about the possibility of bankruptcy in a regulatory filling with the US SEC last week. Verizon will argue that a permanent stay on the injunction would allow Vonage to continue infringing its patents. Vonage maintains that it is confident that it can overturn the patent infringement ruling on appeal. Meanwhile, it is looking to implement a workaround solution to avoid infringing on the disputed Verizon patents. Concerns have been expressed by Vonage, however, in a filing with the federal appeals court that a technical workaround may not be possible.